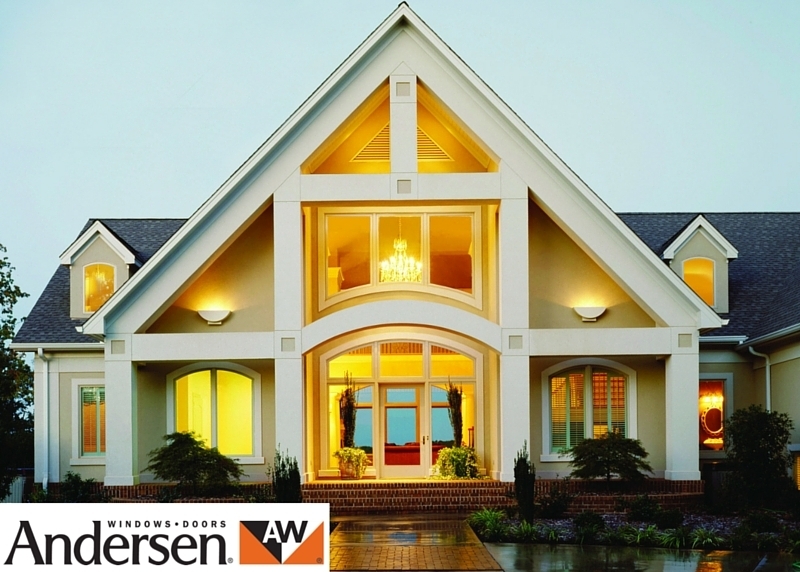 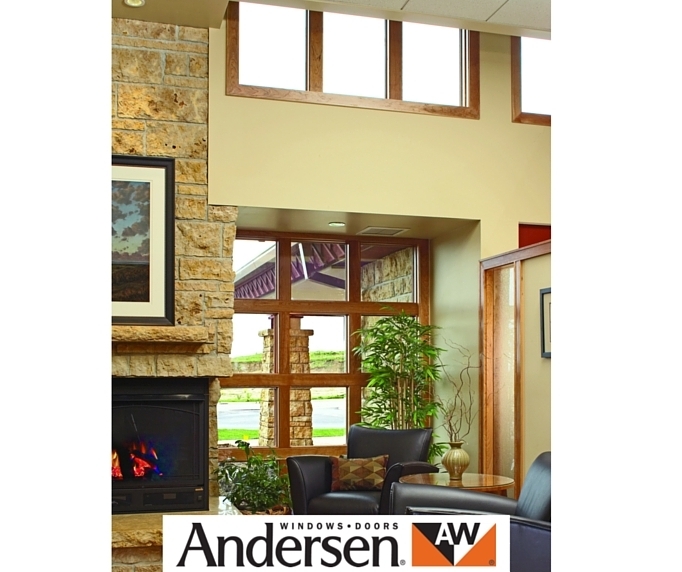 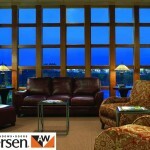 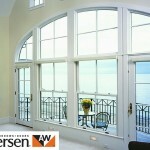 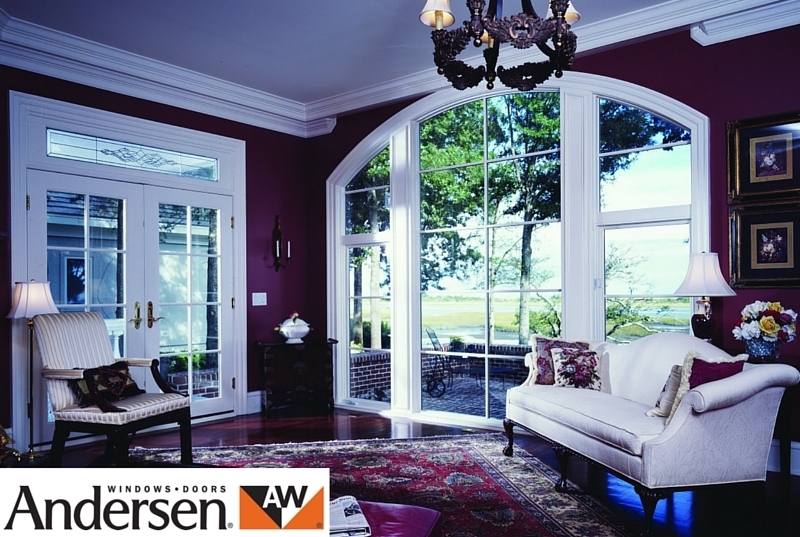 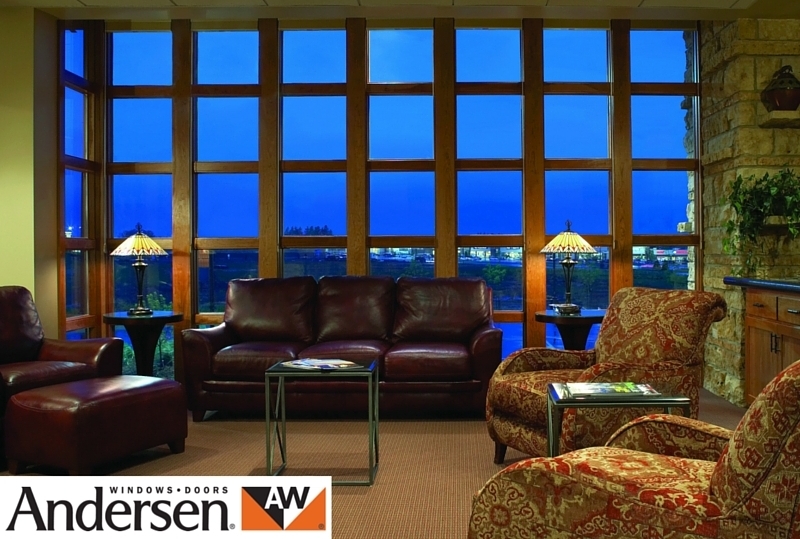 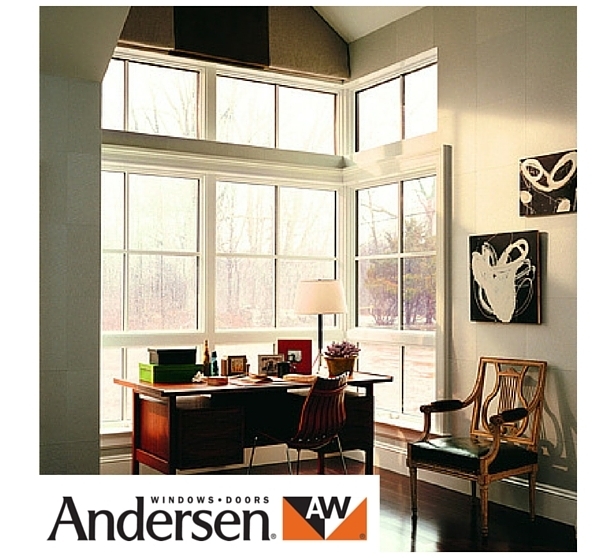 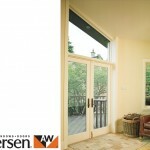 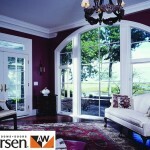 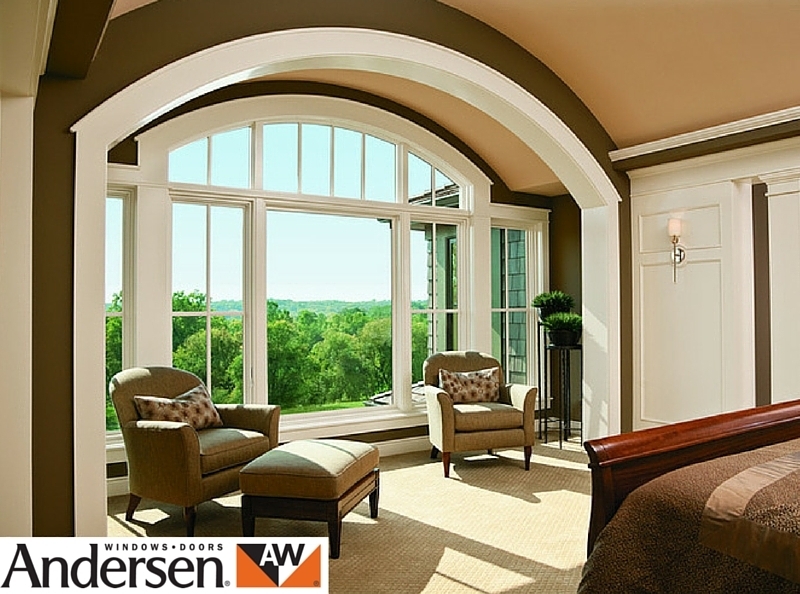 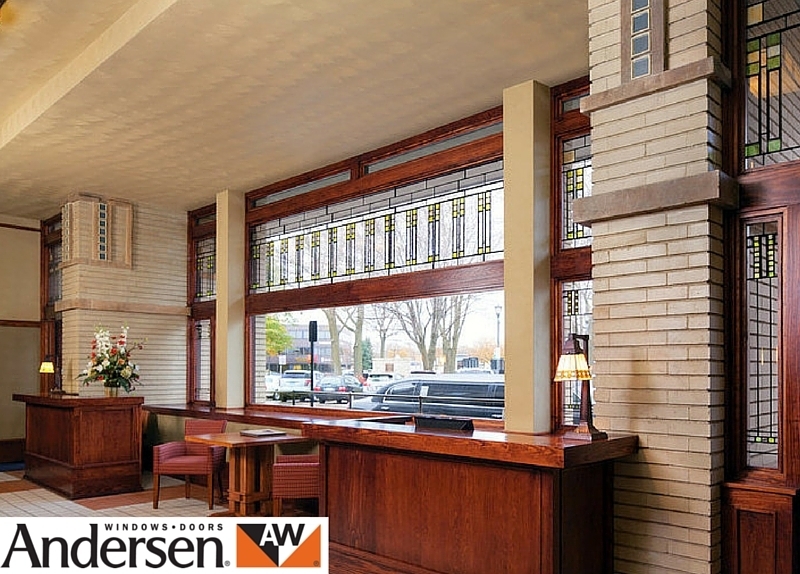 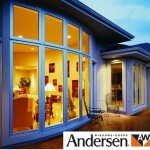 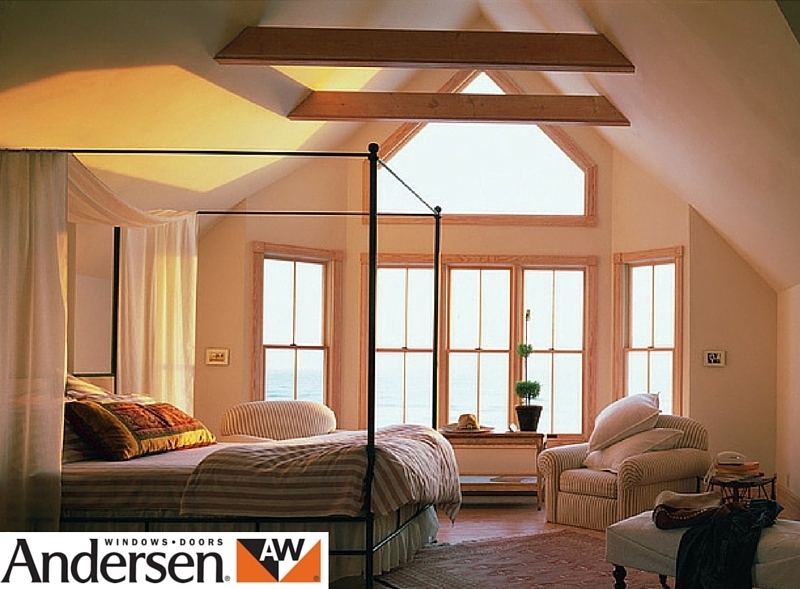 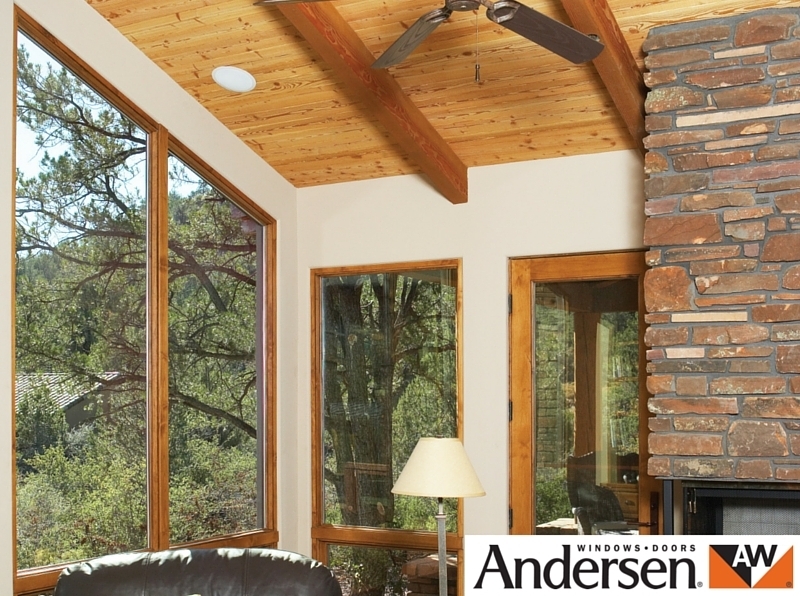 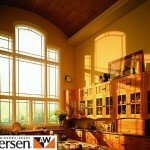 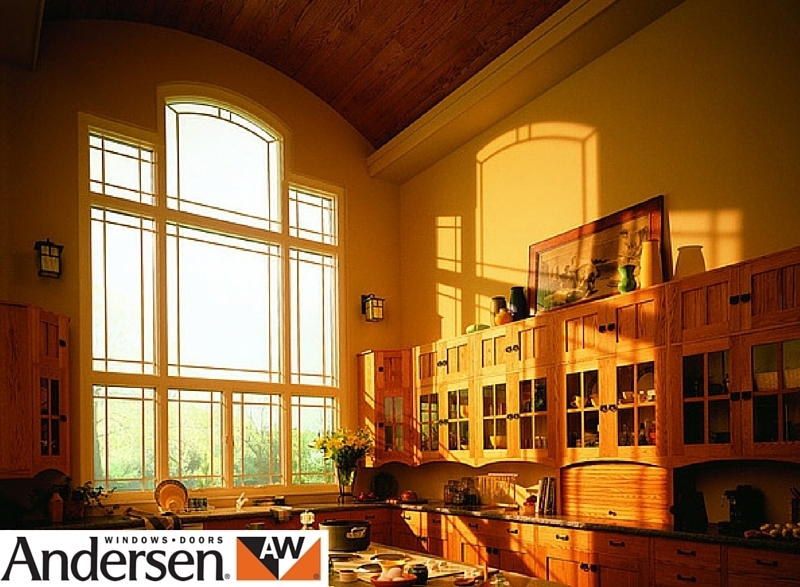 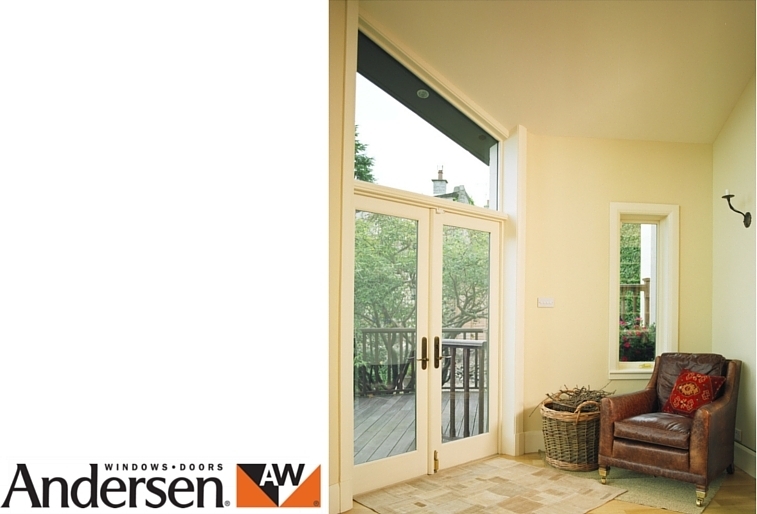 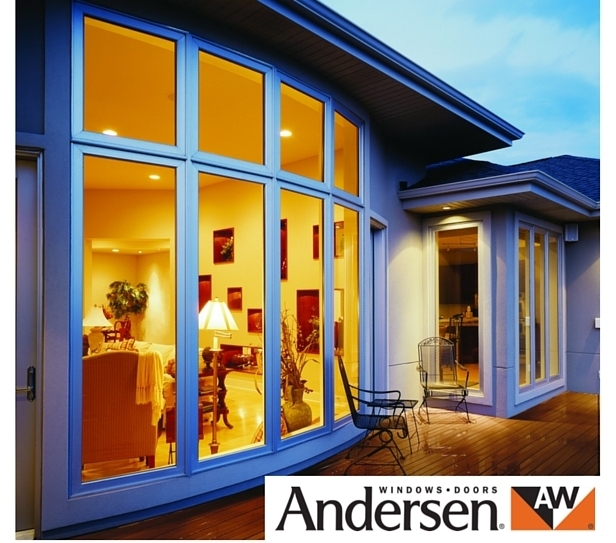 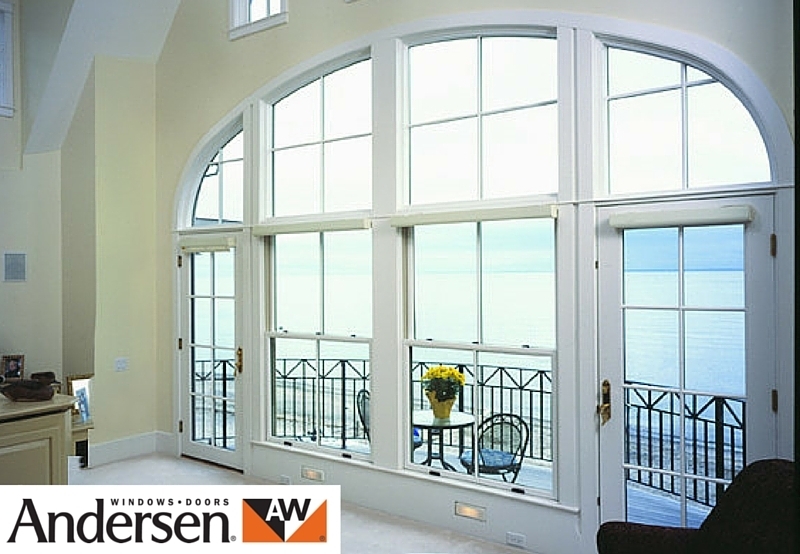 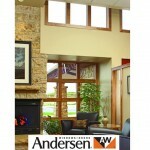 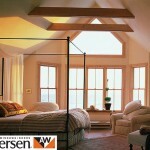 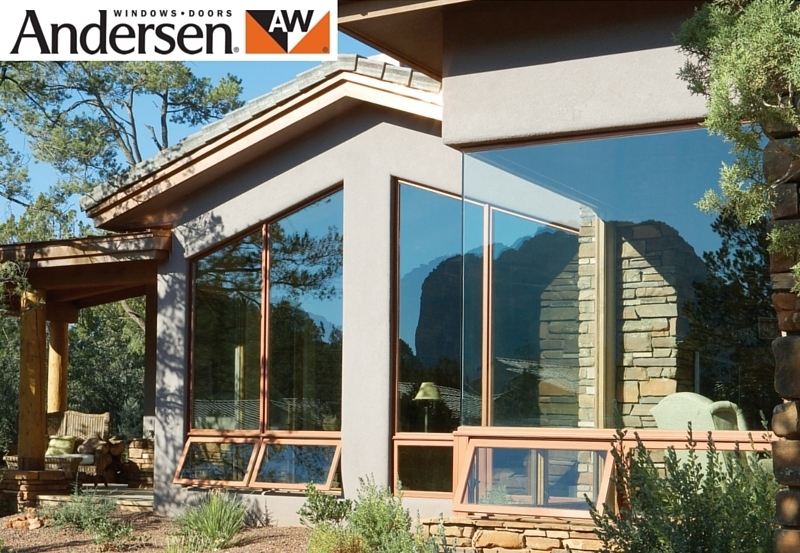 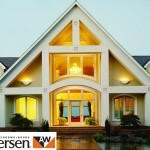 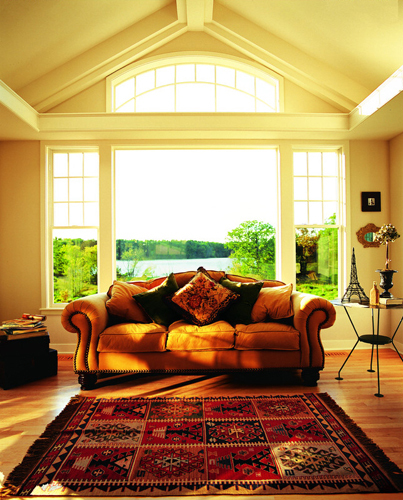 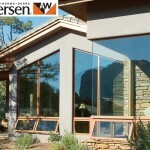 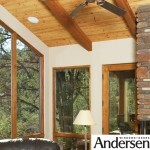 Andersen floor to ceiling window for living rooms. 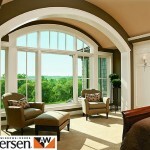 Custom shaped window and door. 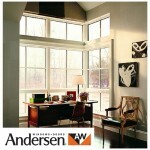 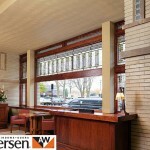 Andersen windows with brown wood panel. 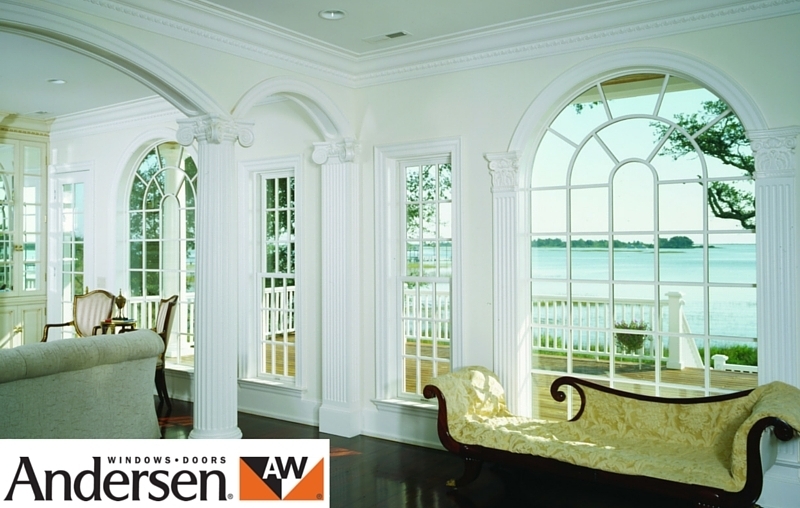 Anderson windows for Victorian style.